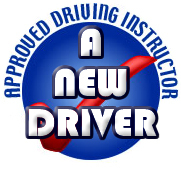 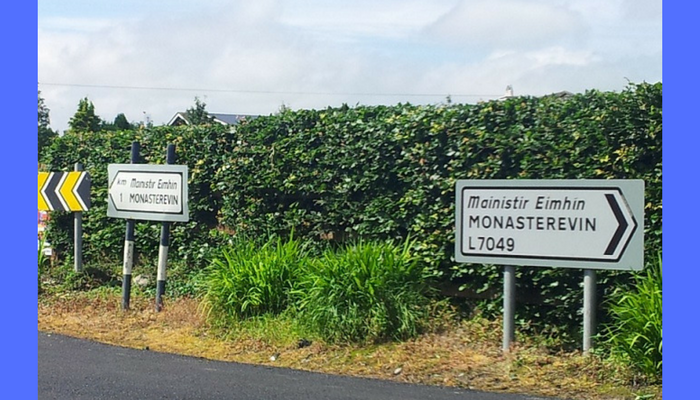 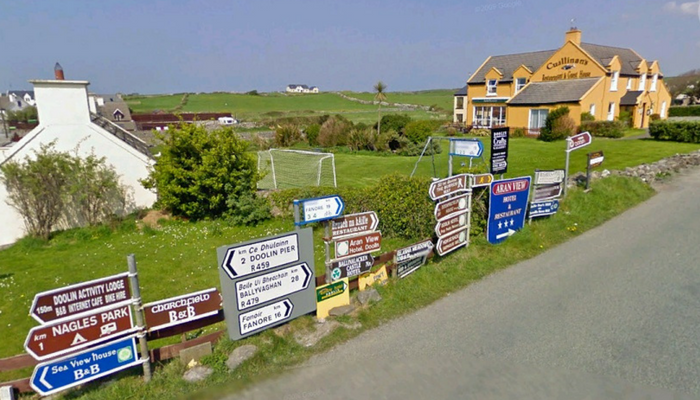 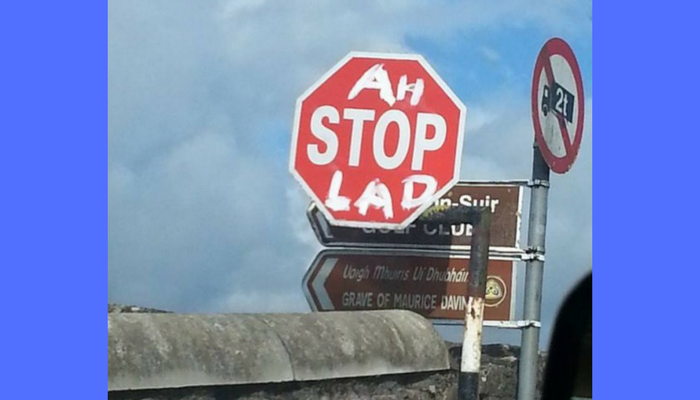 ANewDriver came across some pretty funny signs and situations on Irish roads! 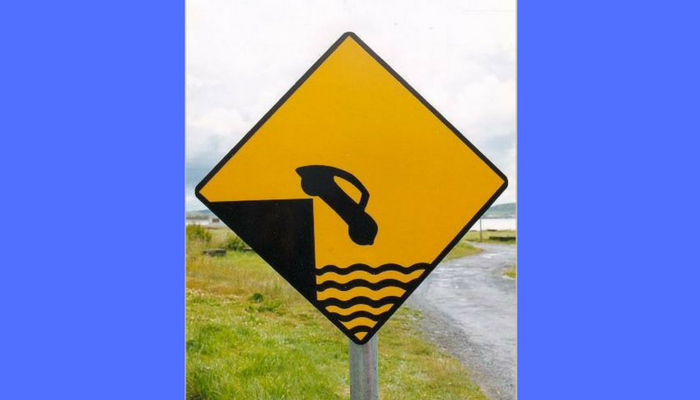 Don’t worry: it will only take a second to read the signs. 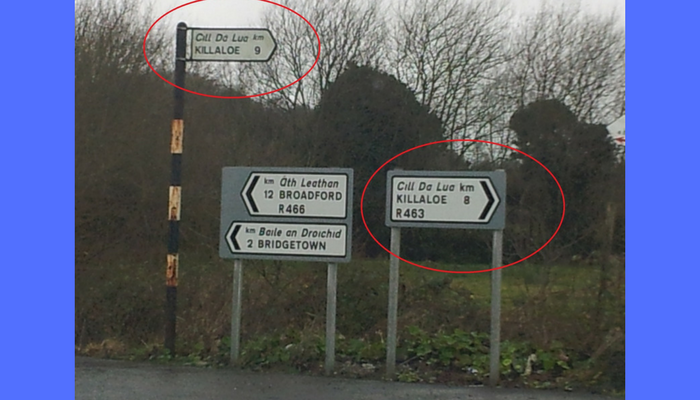 I’ll pick the 8km sign, thanks. 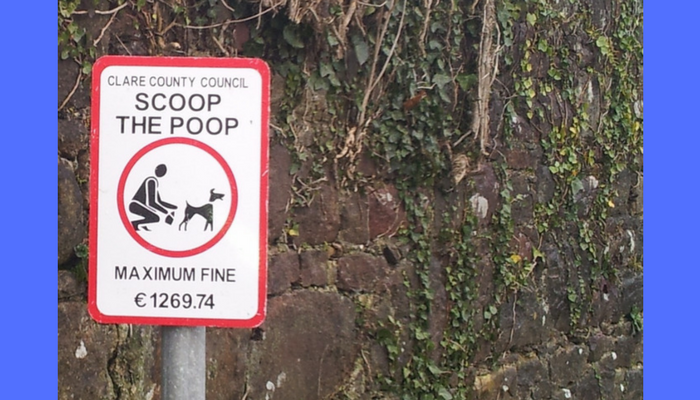 Just please scoop the poop, otherwise, a one thousand two hundred sixty-nine euros and seventy-four cents fine awaits you. 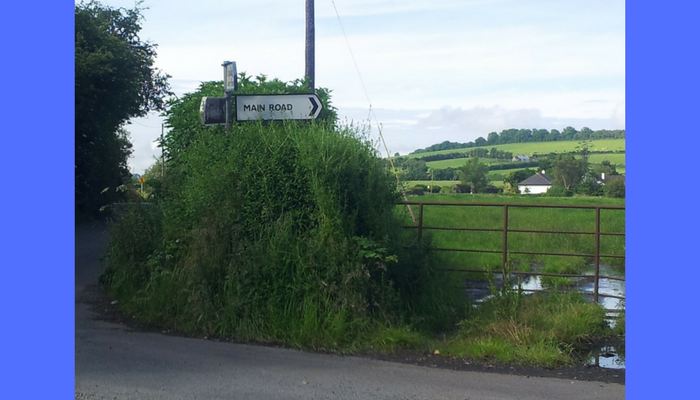 Remove the gate and it will be grand. 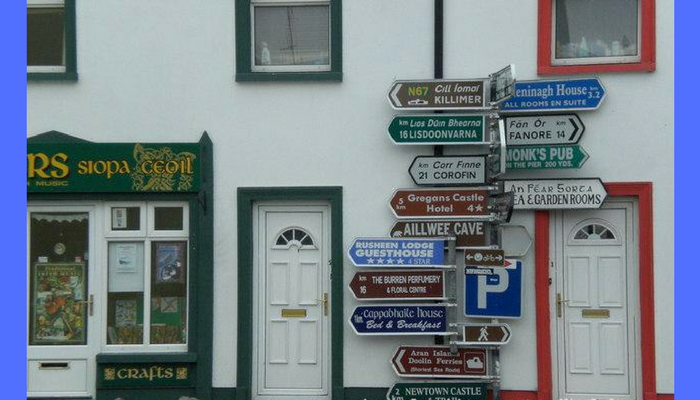 And last but not least: a bit of Irish craic! 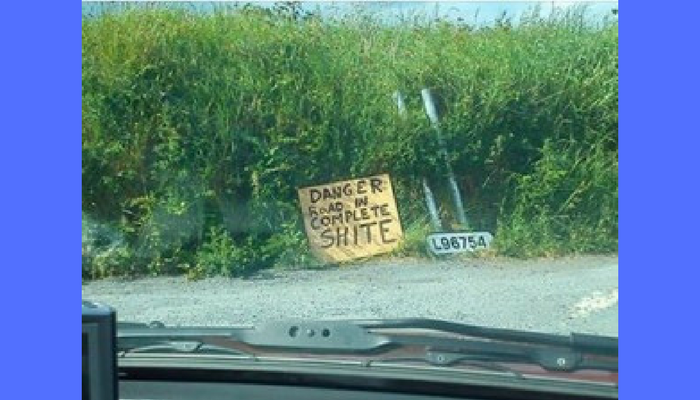 Oh, we nearly forgot this one: Cheers to a very helpful homemade sign Lads!